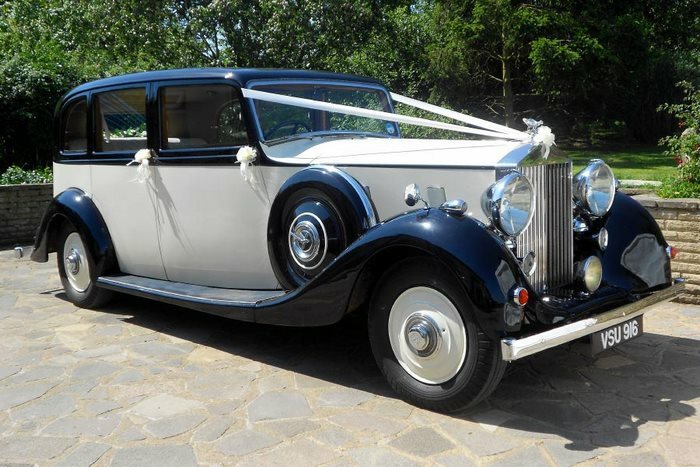 We are a long-established professional wedding car hire company based in Essex. 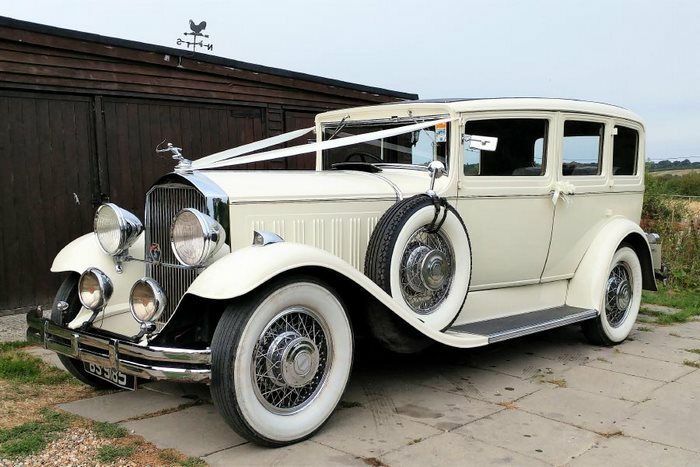 Our privately-owned collection of twenty authentic vintage and classic cars has been built up over many years and contains some extremely rare vehicles. In the main, the vintage and classic wedding cars in our fleet are vehicles from manufacturers sadly no longer in existence. In their time, they were prestigious makes for the wealthy and well-to-do and as production figures were therefore lower, few now survive. In a couple of cases we are caring for the only known survivors of a particular make or model whilst others carry with them intriguing histories. 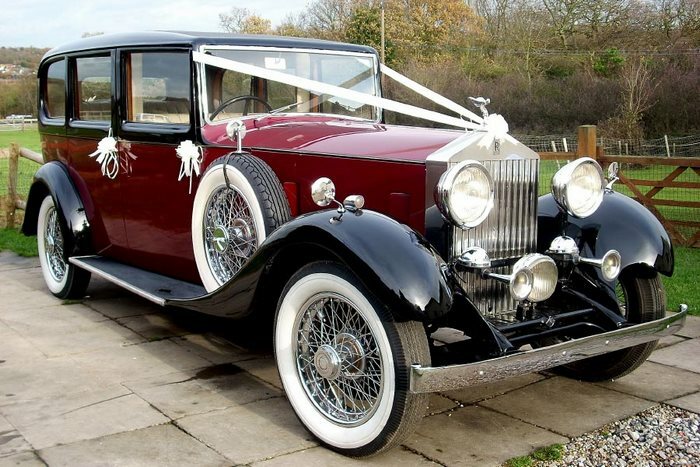 You will find that we have some of the finest wedding cars Essex has to offer. 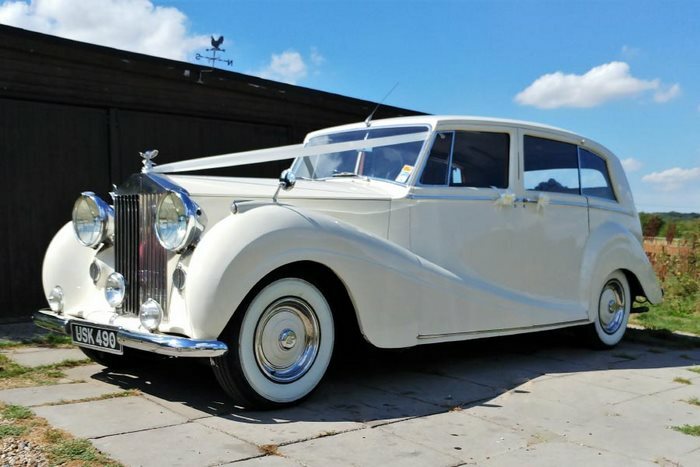 Amongst others in our wedding car fleet we are very fortunate in owning a 1930 Pierce-Arrow Limousine used by U.S. President Herbert Hoover, a 1954 Rolls-Royce Silver Wraith built for an Italian Duke, a 1939 Rolls-Royce Wraith Limousine owned by Lady Isabella Wills, Heiress to the Wills Tobacco empire. 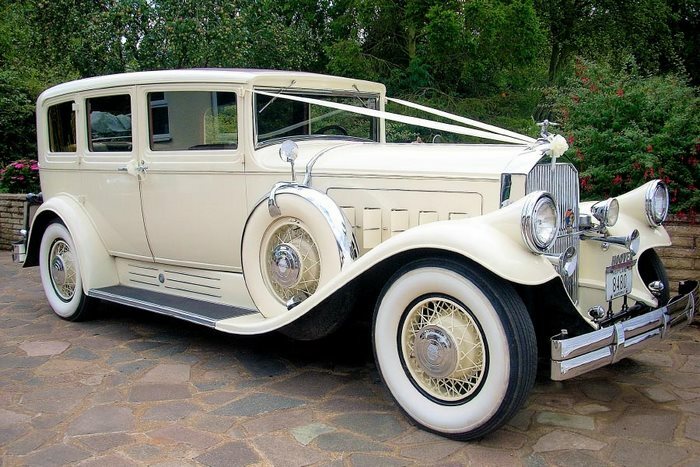 Our Vintage and Classic wedding car fleet also includes a 1929 Pierce-Arrow Limousine walled-up and forgotten for thirty years, a 1934 Rolls-Royce 20/25 Limousine in Burgundy, the only known surviving English-bodied 1928 Buick Monarch convertible Phaeton and a 1956 Cadillac owned by an American industrial magnate. 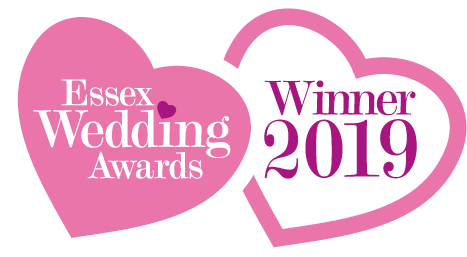 Stockbrook Manor, Orsett Hall, Friern Manor, Crondon Park, Park inn, Chichester Hotel, Mary Green Manor, Langdon Hills Golf Club, Top Meadow Golf Club, Plough Motel, Cromwell Manor, Thurrock Hotel, Langtons House, Greenwoods Hotel, Oyster Fleet Canvey Island, Warley Park Golf and Country Club Warley and Lords Golf and Country Club Hullbridge. (Discounts dependant on distance covered). 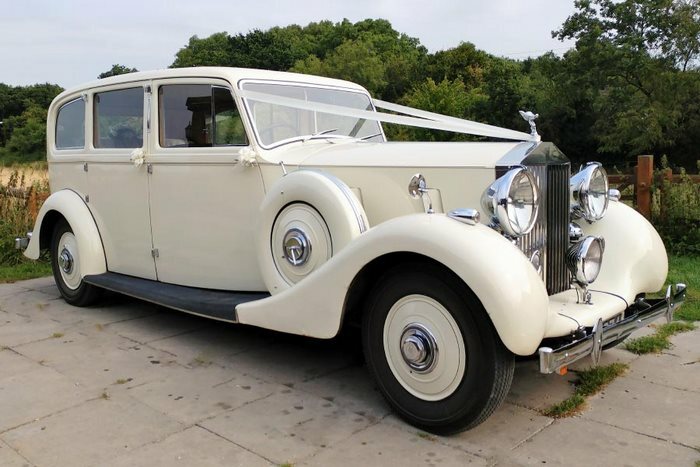 In addition to the main Bridal cars we can offer a wide choice of wedding transport for the Bridesmaids’ party. 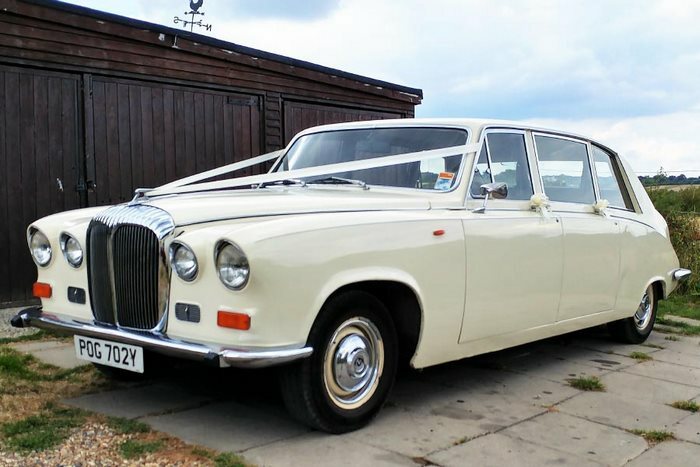 Second vehicles include Vanden Plas Princess Limousines and Daimler Limousines. 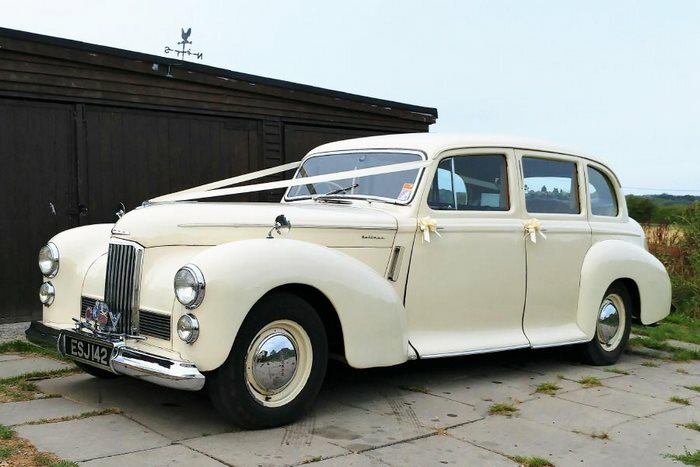 We also offer a very rare 1949 Humber Pullman Limousine, a Jaguar MKVII and a Rolls-Royce Silver Shadow. 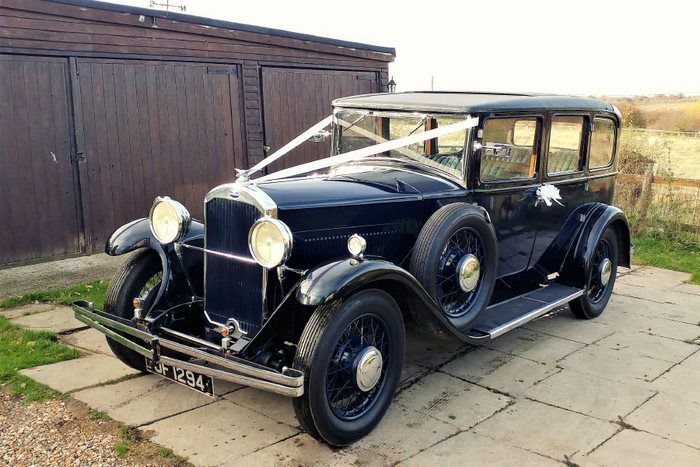 A Wedding Car for the Groom? 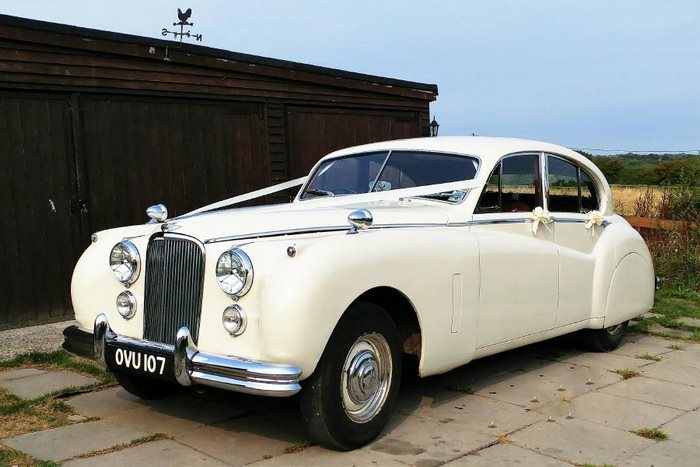 Don’t forget the Groom, the aforementioned Jaguar fits the bill. 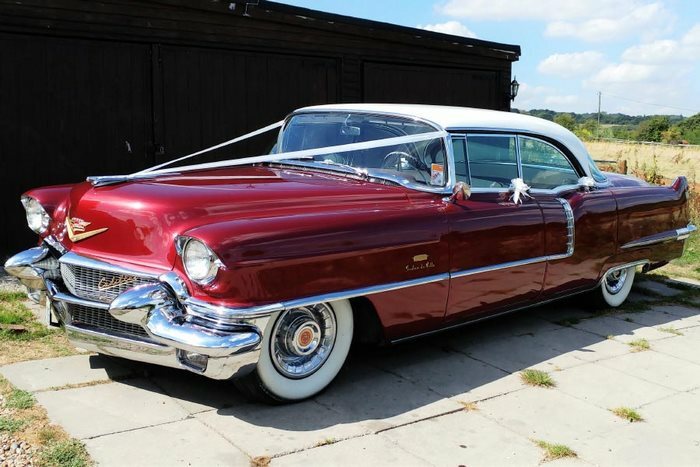 In addition we have a stylish 1956 Cadillac, sheer ’50’s style or a serious muscle car, a 1988 Chevrolet Corvette C4, 0-60 in 4.2 seconds and a thunderous exhaust note. 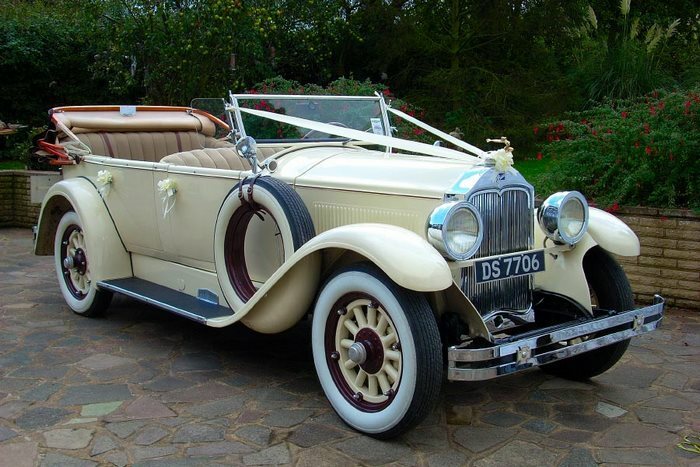 Interiors of the cars have been fully restored to original specification rather than “customising” in modern materials to maintain the integrity of these historic vintage and classic cars. 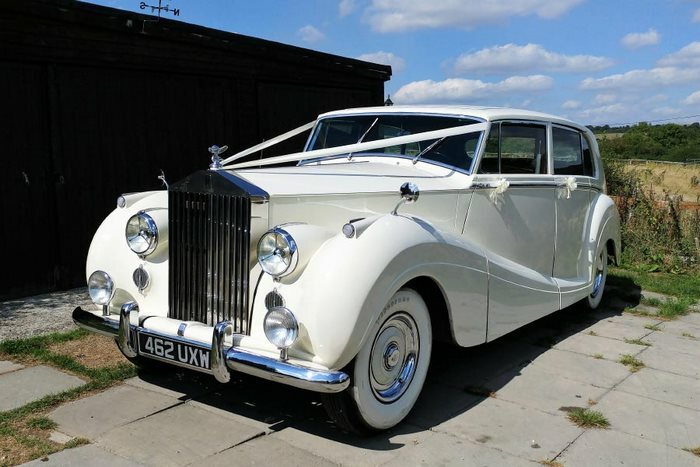 They are elegant, spacious, comfortable, airy and an ideal contrast for the Bride’s dress for those interior photographs (see our gallery). You are most welcome to visit our fleet of vintage and classic wedding cars at any time, just telephone or email beforehand to make an appointment. 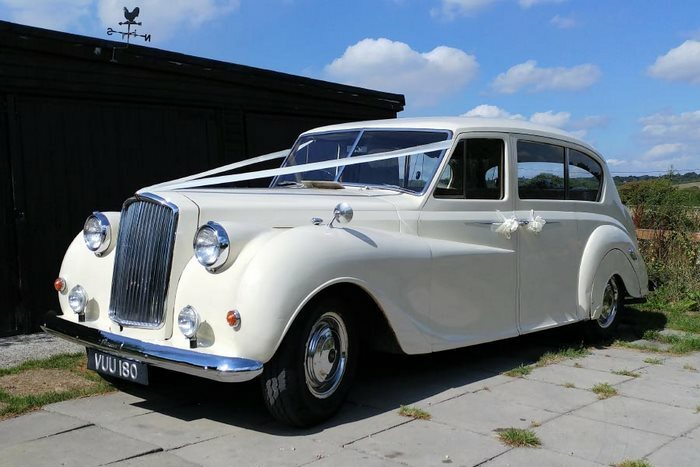 I just wanted to say thank you so much to Arrow Vintage Cars for everything leading up to and during our wedding in December. Well, what can I say. Simon and his team (including his lovely wife Jen) at Arrow Vintage Cars we’re so incredibly kind, helpful and professional that I felt compelled to give him a mention in my speech. 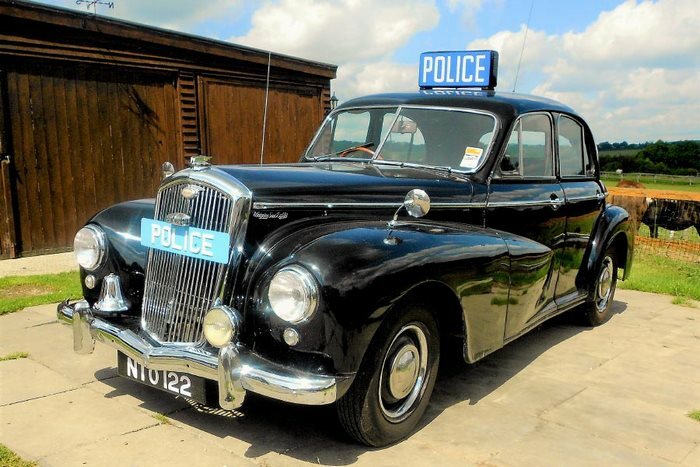 We were very fortunate to give Elsie – a tremendously attractive Triumph Herald – her first run out. And what a fantastic little thing she is – perfect in every way. The little beauty really did make our day. 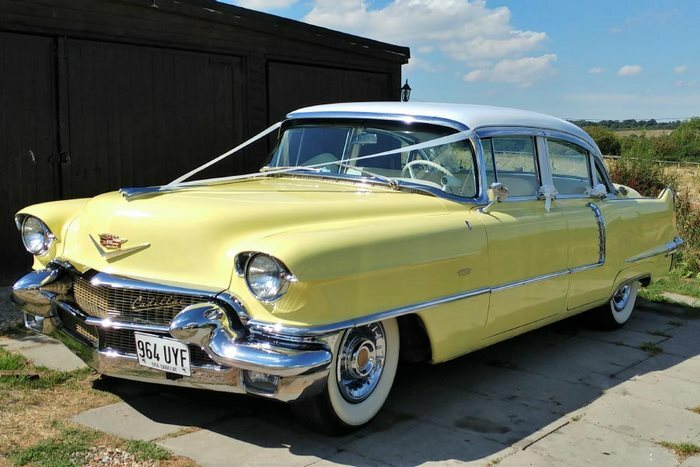 It’s worth mentioning that Simon worked incredibly hard to get her ready and road-worthy in a very short space of time, because he knew we’d fallen in love with her. Our driver, Derek, also deserves a shoutout for making my wife, who was a bag of nerves on the way to the service, feel calm and comfortable. 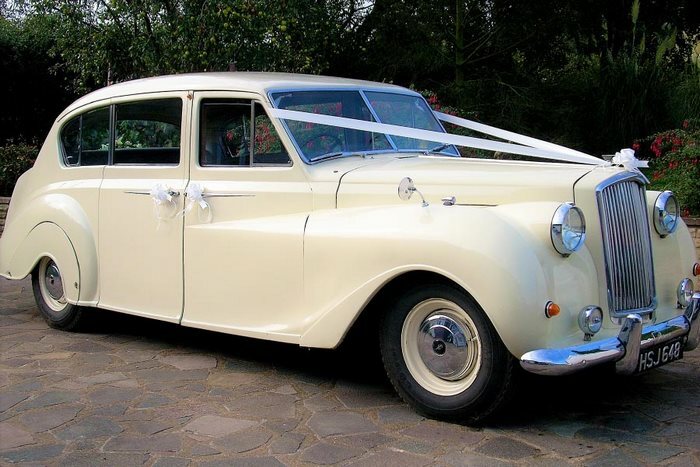 I recommend Arrow Vintage Cars to anyone who’s looking to make their special day even more special.